This Rogue River tributary greets the hiker going to National Creek Falls. 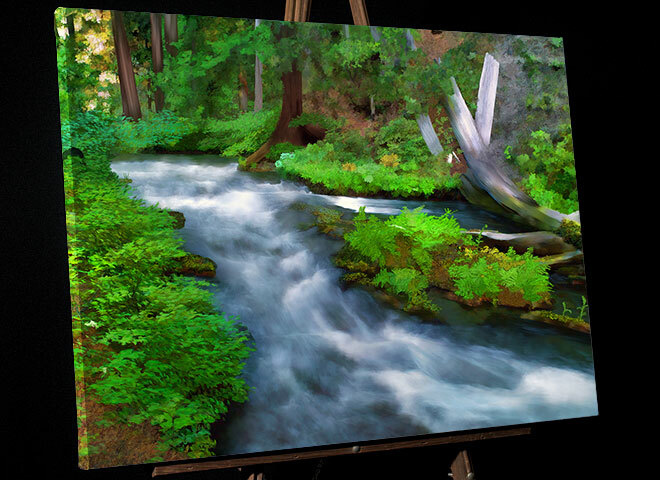 On the easel, a view of the Siskiyou National Forest for Oregonians and guests. Choose from 16x22, 22x30, 26x36 Gallery wrap canvas on 1" stretcher frame with domestic shipping included. Instantly Ready to hang in two weeks!! For more about canvas "Think Canvas"